JEITO MINEIRO DE SER: CORES! CORES! CORES! Está difícil me tornar íntima da nossa Nikon mas, estou me esforçando... Por isto, aceitei o convite de Donna (aqui) para participar do desafio mensal de fotografias. Nenhuma foto recebeu tratamento uma vez que ainda não sei lidar com os programas que fazem isto. Para esta foto das bolotas, do meu quintal, a câmera usada foi a Nikon D3100, F/8, 1/60, ISO 400, sem flash, luz natural, lente 60mm. As garrafinhas coloridas, do restaurante Salya (Ritápolis/MG), foram fotografadas pela pequena Sansumg Digimax A50/KenoxQ2, automática, sem flash, F/3.4, 1/114, luz natural. As bananas ornamentais e flores da quaresmeira, da Fazenda do Pombal (São João del-Rei/MG), foram fotografadas pela Nikon D3100, F/16, 1/40, ISO 3200, sem flash, luz natural, lente 70-300mm e usei o tripé. 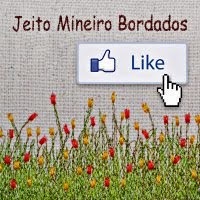 Um bom programa é seguir o link do blog da Donna (aqui) e conferir as fotos de todas as que participam. É um show de belas fotos! Um fim de semana cheio de cores para todos! Hello Egléa - many thanks for commenting on my blog. Happy to see you join in Donna's challenge this month - and your photos are great, love the brilliant colors. Happy weekend in Brazil - my lovely best friend Vanessa is from Sao Paolo and lives here in North Carolina now. Can't read a word of your blog, but your photos speak volumes! Love that lonely red tomato (it is a tomato, isn't it??). And the bottles are just wonderful, works of art in themselves. Great job, and welcome to the Photo Challenge! Ola... Very nice colorful photos! I love the bottles. Nice selections with colour, I love the bottles. Wonderful photos all! The colors are vibrant and lovely. I love all your photos - the bright red acorn is WOW! The vibrant red bananas are amazing and the blue vine in the background is a wonderful foil. How nice to meet someone from Brazil and welcome to Donna's Photo Challenge! It seems that you are becoming well acquainted with your Nikon! Such lovely photos you've shared! I am particularly fond of the red tomato in the cluster of green. Lovely lovely color, I really like the bottles all lined up! All of your photos are great! I'm drawn to the photo of the red tomato surrounded by the green ones. Wonderful photos Eglea , great composition and subject matter ! Querida Egléa, eu não imaginaria que eras uma principiante nesta arte de fotografar! As tuas fotografias estão belíssimas! Parabéns!!! Menina, onde é que você foi encontrar tanta gente comentando em inglês?????? Também quero!!!!!!!!! Beijinhos e boas fotos num ótimo fim de semana. Lovely colourful photos! I love the one red tomato, and the bottles are beautiful. I love coloured glass. Egléa, how lovely to see your photos from Brazil. The coloured glass reflects such pretty light. I speak Spanish so I can read some of your words since Portuguese and Spanish are so similar. Beautiful images and lovely colors.. The first photo is my favorite.. Wishing you a happy week ahead! We're happy to have you link up for the photo challenge! I am always intrigued by natural worlds that are so different from my own. I would have never known that acorns can grow like that in a huge cluster if I hadn't seen your photo. That's great that you were able to find a cluster with one red acorn for color contrast. The banana trees are another treat to see. Love the row of colorful bottles!